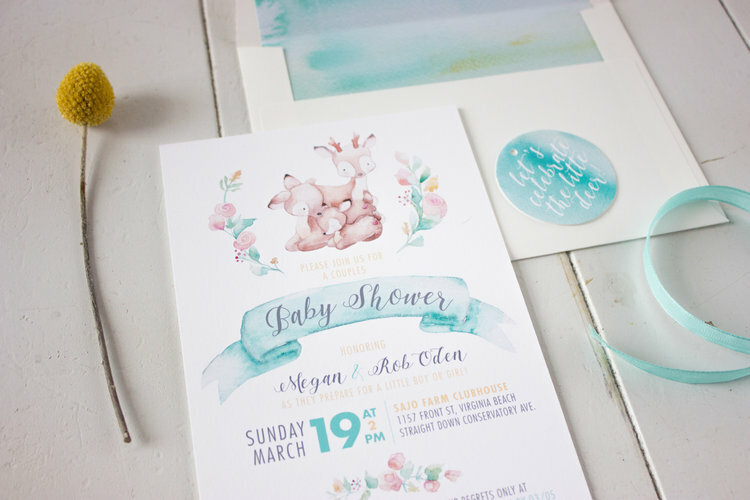 “Let’s celebrate the little deer!” We were so excited to help out with the concept and design of these adorable woodland watercolor baby shower invites. All the watercolor elements for, the deer family, banner, flowers, liner and ribbon tag were hand painted by a local Virginia artist and then digitally reproduced and cut for each set. The original watercolor illustrations were scanned and edited in photoshop then used to create the final pieces. These were so fun to make and such a joy to open. 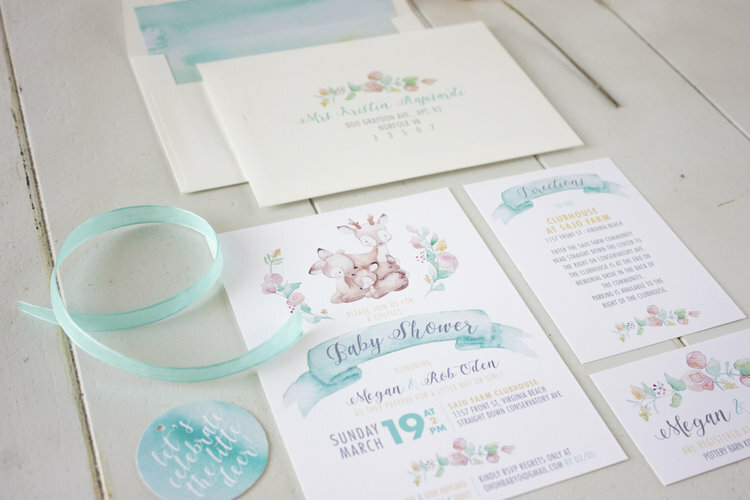 Our client wanted a gender neutral color scheme and theme for their couples baby shower. 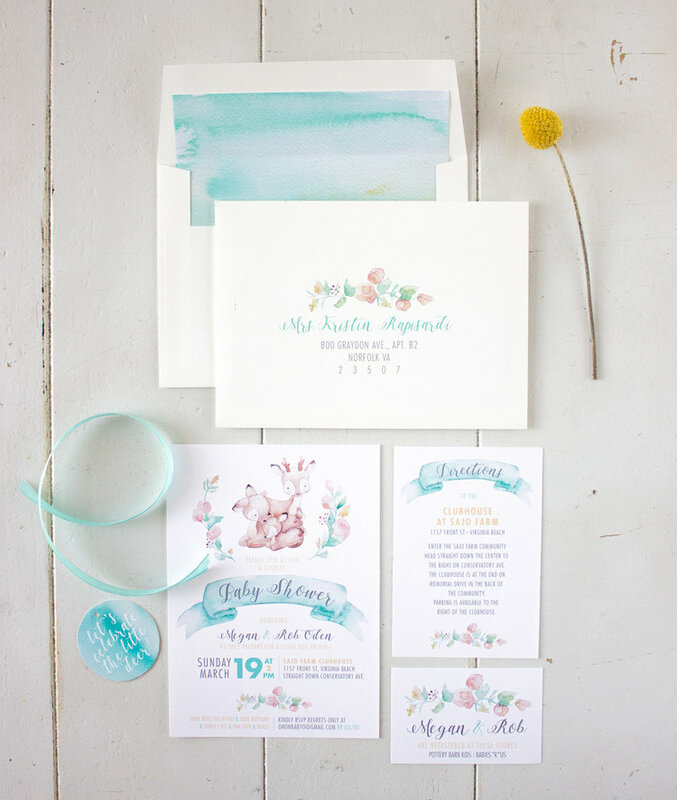 Lending itself perfectly to the teal, creamy yellow and gray color choices in this suite. The custom envelopes were the icing on the cake. Hand writing every address can be time consuming and unless you have amazing penmanship sometimes it’s better to have them printed. Your printer at home many times is all you need. 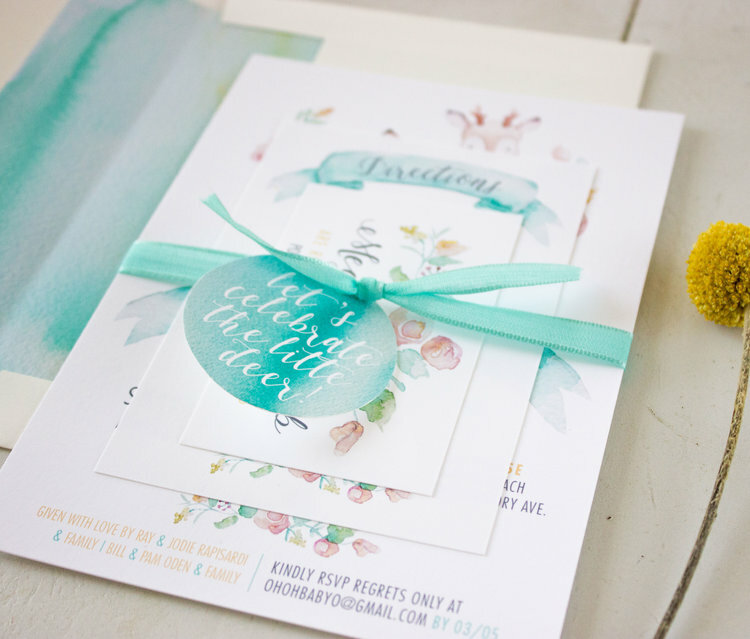 See our other invitation designs HERE. You can purchase digital files of this invite set HERE.